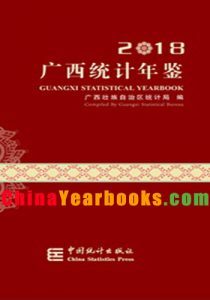 Ⅰ. Guangxi Statistical Yearbook is an annual statistics publication, which covers very comprehensive data in 2017 and some selected data series in historically important years since 1978 of the whole autonomous region, the main statistical data of city, county (district) in 2017 and therefore, reflects various aspects of Guangxi’s social and economic development. Ⅱ. This book contains the following twenty-three parts, 1.General Survey; 2.Population; 3.National Economic Accounting; 4.Employment & Wages; 5.Price; 6.People’s Livelihood; 7. Finance, Banking & Insurance; 8.Natural Resources & Environment; 9.Energy Production & Consumption; 10.Investment in Fixed Assets; 11.General Survey of Cities; 12.Foreign Economy & Trades; 13.Agriculture; 14.Industry; 15.Construction; 16.Wholesale & Retail Trades; 17.Hotels Catering Services & Tourism; 18.Transportation, Postal & Telecommunication Services; 19.Education, Science & Culture; 20.Sport, Public Health, Social Welfare & Service Industry; 21. Economic Zones; 22.Basic Statistics of Cities; 23.Basic Statistics of Counties (Cities, Districts). In Order to make readers understand the whole content of this book and use the materials correctly, most of the chapters are equipped with explanatory notes on main statistical indicators at the end. 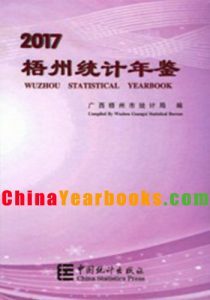 Moreover, addenda (Statistical Communique on National Economic & Social Development of Guangxi in 2017) are attached at the end of the book. Ⅲ. The international standard unit of measurement is applied in this book. Ⅳ. Statistical discrepancies in this book due to rounding are not adjusted. Ⅴ. In this yearbook, the statistical materials published before have been verified again, and the data that tally with this book should take the data of this book as standard. Ⅵ. The major data sources of this publication are obtained from annual statistical reports and some from sample surveys. “#” indicates the major items of the table. Ⅷ. Because of innovation in statistical system, some statistical data in this yearbook have been adjusted accordingly, and we have made footnote to these indicators. The users should notice that when using these data. Ⅸ. Since the comprehensive survey of economy has not been publicized, data that related to national economy account are from Preliminary reports, and it is explanted in the chapters. Ⅹ. According to the 2rd Agriculture Census, the data of gross output value of farming, forestry animal husbandry and fishery, and the output of grains crops, economic crops and major animals in 2006 and 2007 has been adjusted, while the data in 2005 and before hasn’t due to the reform of R&D expenditure accounting by National Statistics Bureau, the data of GDP from 2007 to 2015 has been recalculated, so as the related data. All the data of GDP in 2017’s are from quick statistics data, so as the related data. During the editions of this yearbook, we have won wide support from many departments and comrades, and we deeply thanks for these all. Based on our limited level, perhaps there are some mistakes in the book, we welcome all candid comments and criticism from our readers. 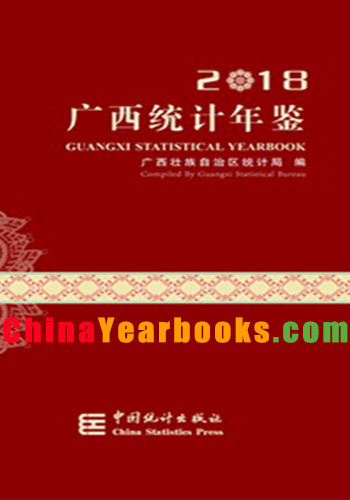 Ⅰ. Guangxi Statistical Yearbook is an annual statistics publication, which covers very comprehensive data in 2016 and some selected data series in historically important years since 1978 of the whole autonomous region, the main statistical data of city, county(district) in 2016 and therefore, reflects various aspects of Guangxi’s social and economic development. Ⅱ. This book contains the following twenty-three parts, 1.General Survey; 2.Population; 3.National Economic Accounting; 4.Employment & Wages; 5. Price; 6. People’s Livelihood; 7. Finance, Banking & Insurance; 8.Natural Resources & Environment; 9. Energy Production & Consumption; 10.Investment in Fixed Assets; 11. General Survey of Cities; 12.Foreign Economy & Trades; 13. Agriculture; 14. Industry; 15. Construction; 16. Wholesale & Retail Trades; 17. Hotels Catering Services & Tourism; 18. Transportation, Postal & Telecommunication Services; 19. Education, Science & Culture; 20. Sport, Public Health, Social Welfare & Service Industry; 21. Economic Zones; 22. Basic Statistics of Cities; 23.Basic Statistics of Counties(Cities, Districts). In Order to make readers understand the whole content of this book and use the materials correctly, most of the chapters are equipped with explanatory notes on main statistical indicators at the end. Moreover, addenda(Statistical Communique on National Economic & Social Development of Guangxi in 2015) is attached at the end of the book. made footnote to these indicators. The users should notice that when using these data. preliminary reports, and it is explanted in the chapters. Ⅹ. According to the 3rd Agriculture Census, the data of gross output value of farming, forestry animal husbandry and fishery, and the output of grains crops, economic crops and major animals in 2006 and 2007 has been , adjusted, while the data in 2005 and before hasn’t. 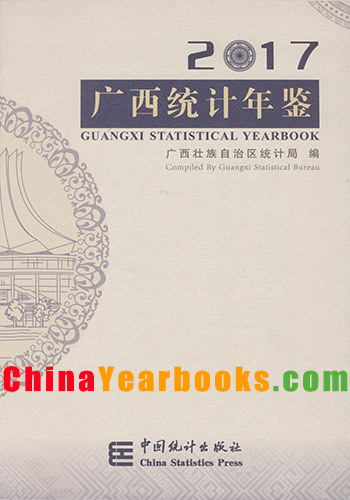 Ⅰ. Guangxi Statistical Yearbook is an annual statisticspublication, which covers very comprehensive data in 2013 and some selecteddata series in historically important years since 1978 of the whole autonomousregion, the main statistical data of city, county(district)in 2013 and therefore, reflects various aspects of Guangxi’ssocial and economic development. Ⅱ. This bookcontains the following twenty-three parts, 1.General Survey; 2.NationalEconomic Accounting; 3.Population; 4.Employment & Wages; 5.Investment inFixed Assets; 6.Foreign Economy & Trades; 7.Natual Resources &Environment; 8. Energy Production & Consumption; 9.Finance, Banking & Insurance; 10. Price; 11. People’s Livelihood; 12.General Survey of Cities; 13. Agriculture;14. Industry; 15. Construction;16. Transportation, Postal & TelecommunicationServices; 17. Wholesale & Retail Trades; 18.Hotels Catering Services & Tourism; 19. Education, Science & Culture; 20. Sport,Public Health, Social Welfare & Service Industry; 21. Economic Zones; 22. Basic Statistics of Cities; 23.BasicStatistics of Counties(Cities, Districts). In Order tomake readers understand the whole content of this book and use the materialscorrectly, most of the chapters are equipped with explanatory notes on mainstatistical indicators at the end. Moreover, addenda(StatisticalCommunique on National Economic & SocialDevelopment of Guangxi in 2013) is attached at theend of the book. Ⅲ. Theinternational standard unit of measurement is applied in this book. Ⅳ. Statisticaldiscrepancies in this book due to rounding are not adjusted. Ⅴ. In thisyearbook, the statistical materials published before have been verified again,and the data that tally with this book should take the data of this book asstandard. Ⅵ. The majordata sources of this publication are obtained from annual statistical reportsand some from sample surveys. “#” indicatesthe major items of the table. Ⅷ. Because ofinnovation in statistical system, some statistical data in this yearbook havebeen adjusted accordingly, and we have made footnote to these indicators. Theusers should notice that when using these data. Ⅸ. Since thecomprehensive survey of economy has not been publicized, data that related tonational economy account are from preliminary reports, and it is explanted inthe chapters. Ⅹ. Accordingto the 2nd Agriculture Census, the data of gross output value of farming,forestry animal husbandry and fishery, and the output of grains crops, economiccrops and major animals in 2006 and 2007 has been adjusted, while the data in2005 and before hasn’t. XI. During the editions of this yearbook, wehave won wide support from many departments and comrades, and we deeply thanksfor these all. Based on our limited level, perhaps there are some mistakes inthe book, we welcome all candid comments and criticism from our readers.